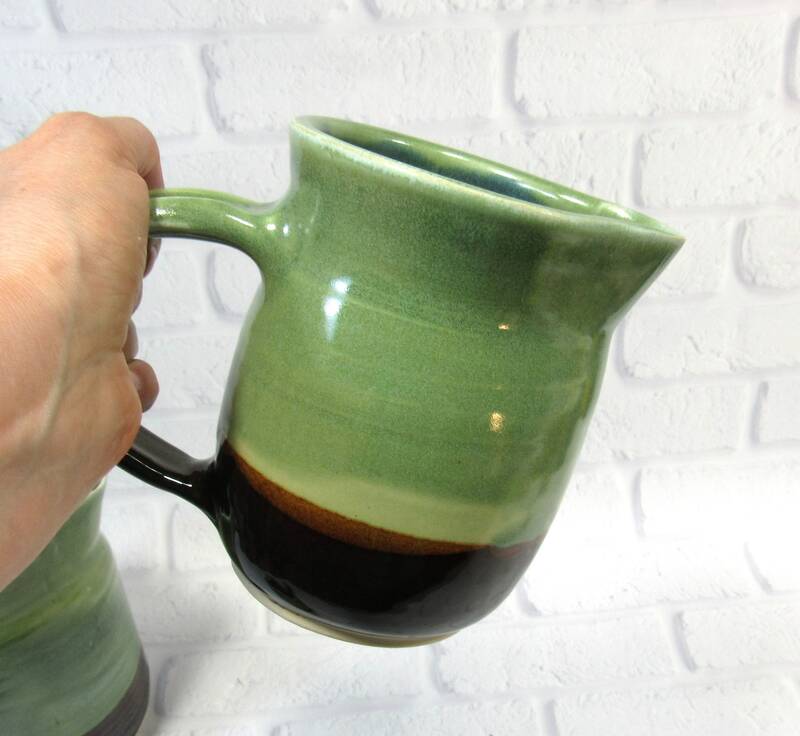 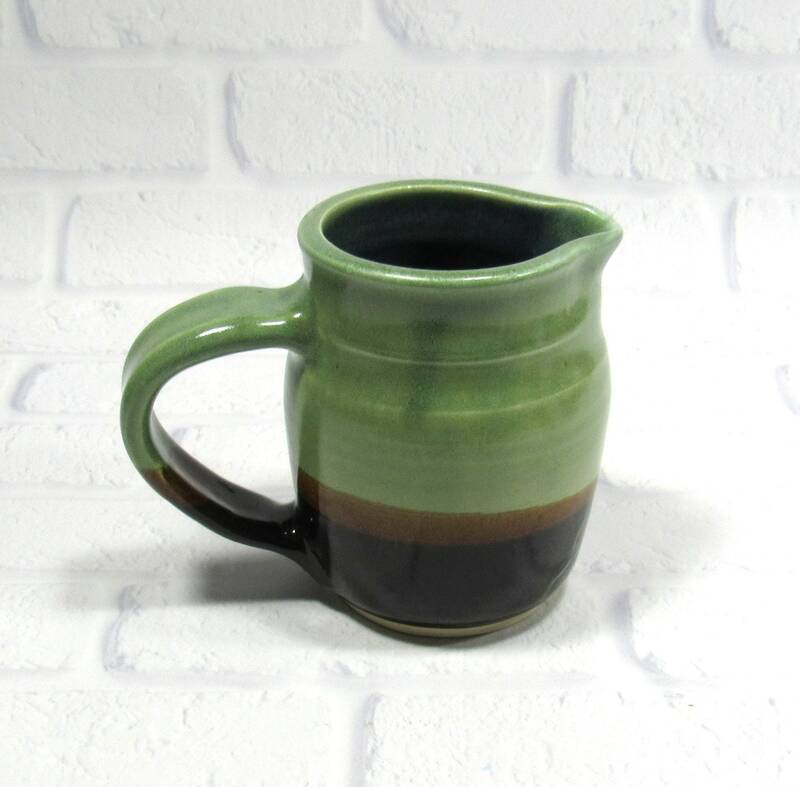 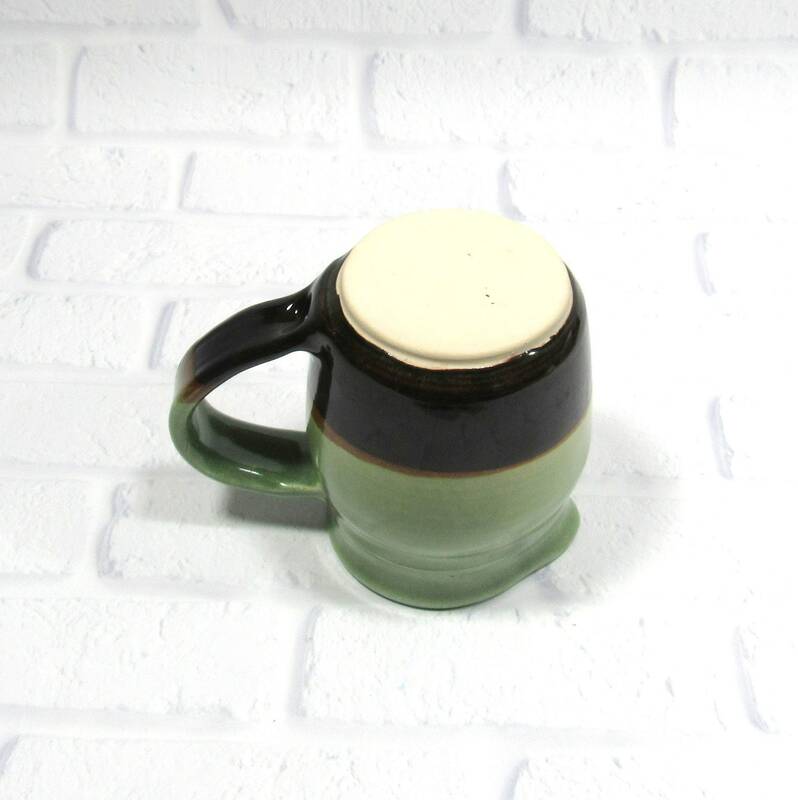 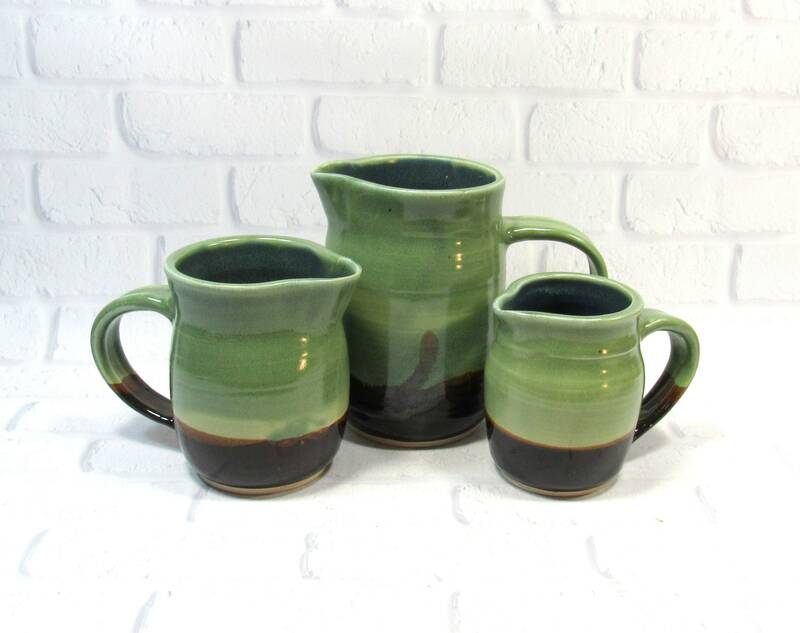 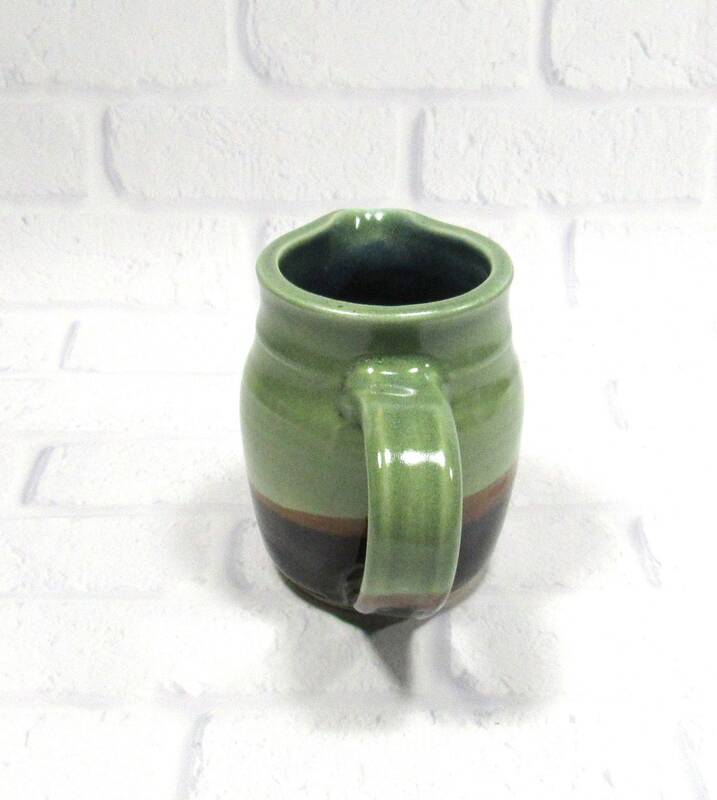 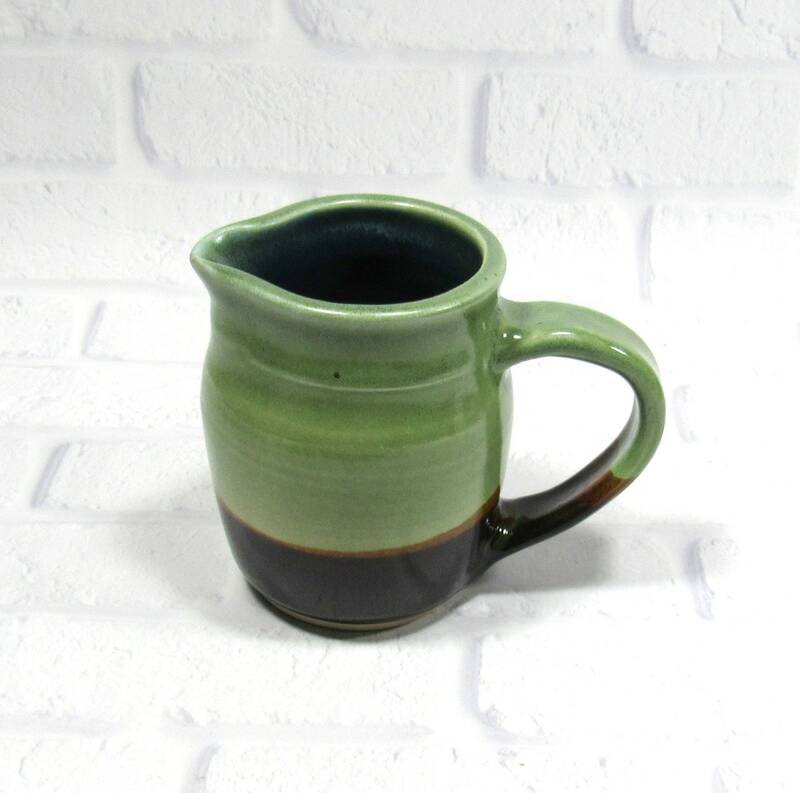 Small stoneware pitcher, ideal for water, juice or milk. 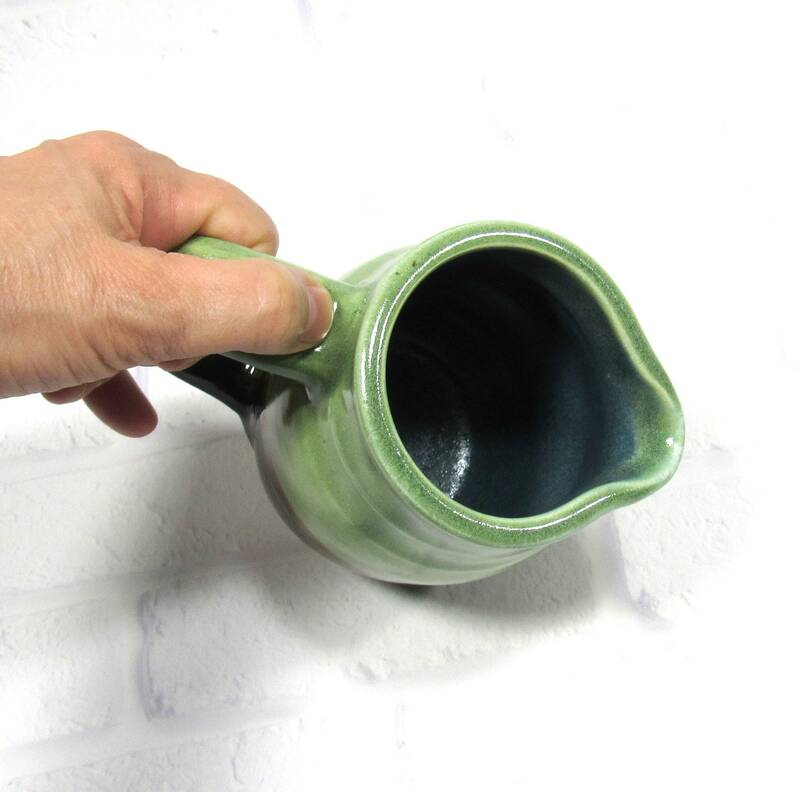 Also use it as a flower vase or utensil holder. 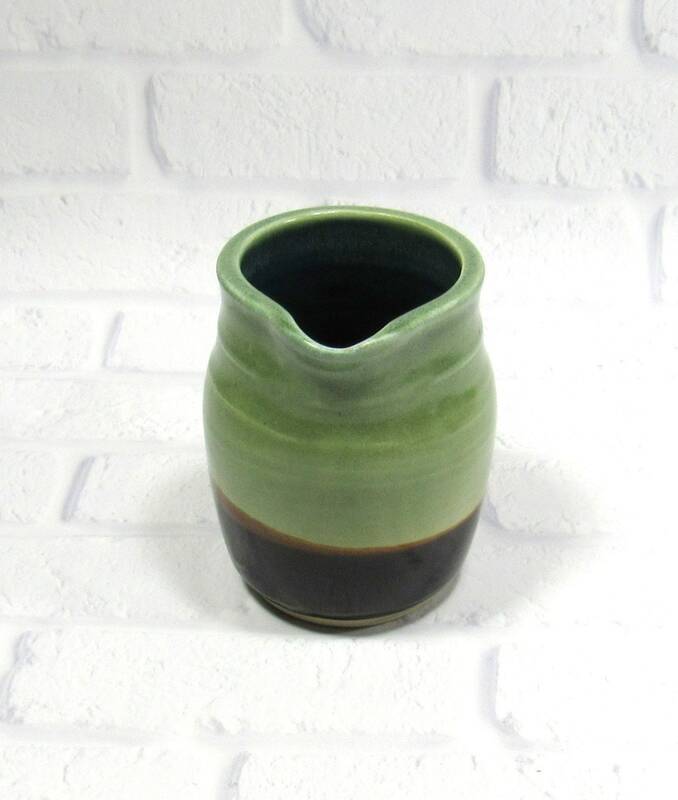 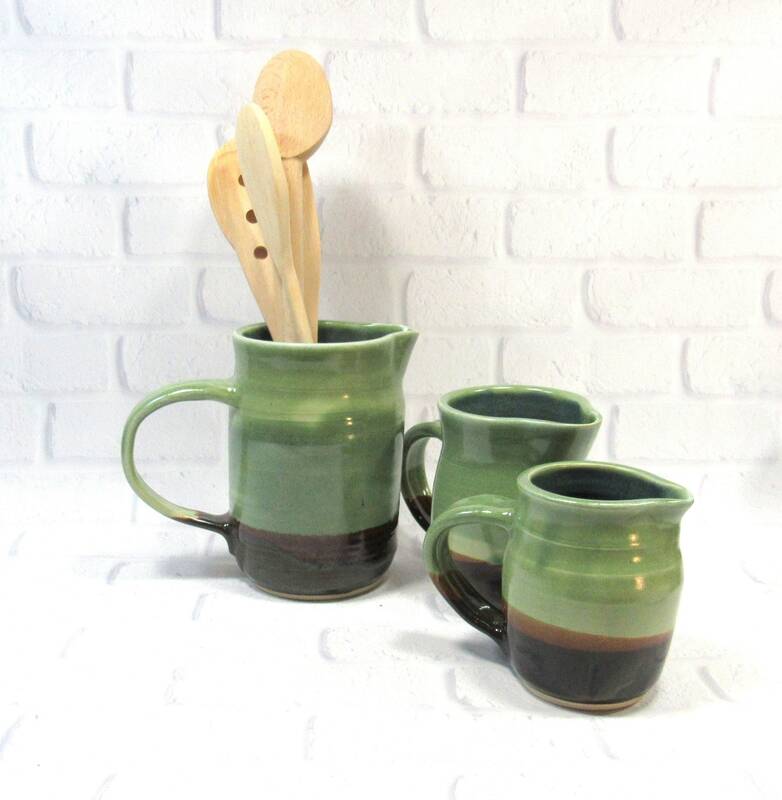 It is glazed in green and brown on the outside and blue on the inside. 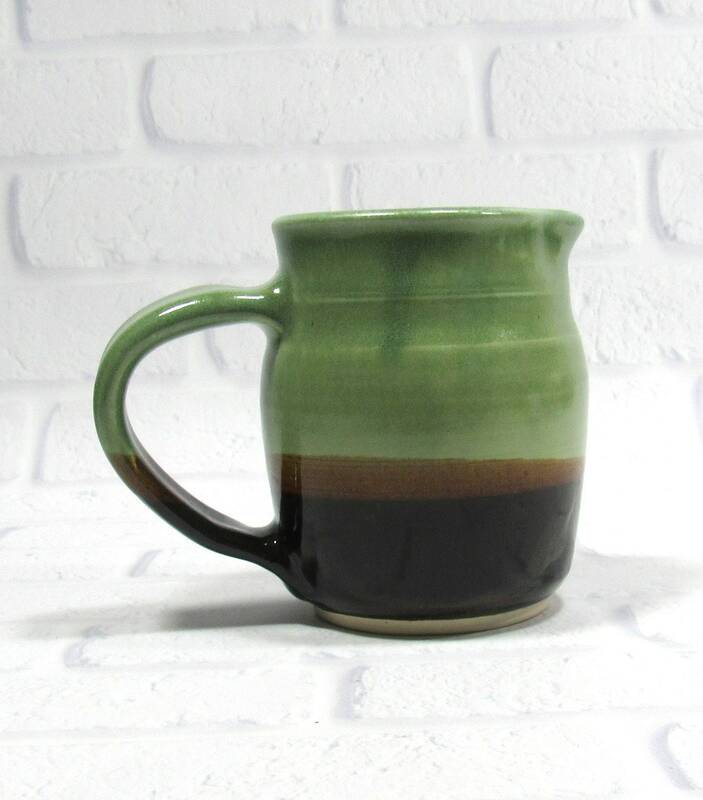 Measurements: This jug is 4 inches tall and holds 2 cups (16 ounces).